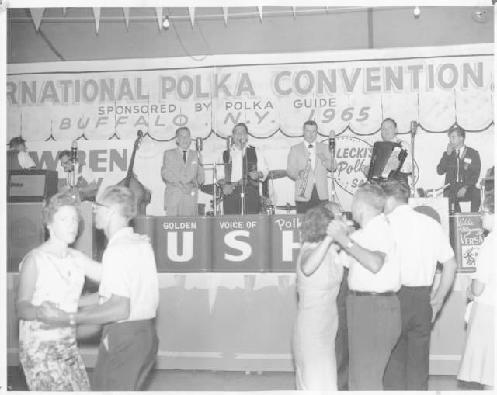 The American polka movement was in full swing in the mid-1960s. Postwar Polish-Americans with plenty of leisure time and money for entertainment packed dances and polka events regularly. Big band �Eastern� style sounds popular in the 30s and 40s were losing favor to a �fresh� style of polkas from Chicago played by performers like Li�l Wally Jagiello, Marion Lush, and Eddie Blazonczyk. These were great days for the polka industry. 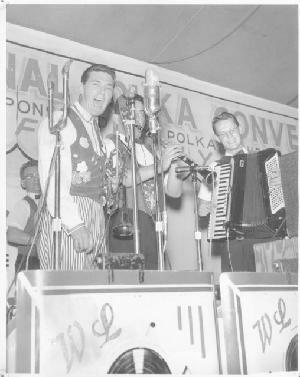 The concept of a national polka convention had been developed and pioneered originally in Chicago. 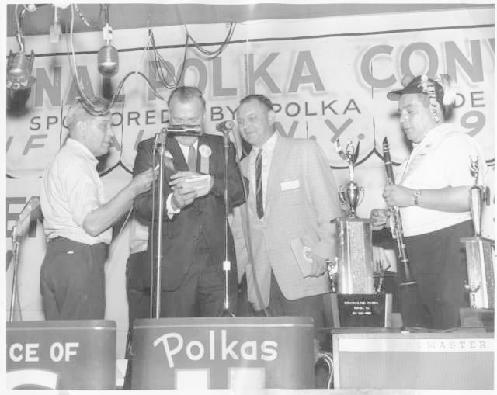 From the popular yearly moonlight dances starting in 1960, which attracted thousands of polka lovers from all sections of the United States and Canada -- the first polka convention emerged in 1963. This developed into the International Polka Convention that was presented each succeeding year in Chicago, Detroit and Buffalo. 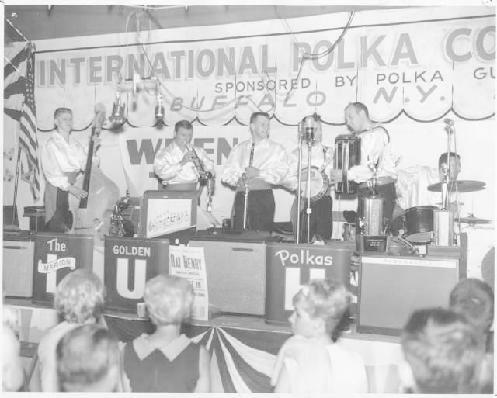 The 1965 International Polka Convention was held in Buffalo on August 6, 7 and 8th at the Thruway Plaza. Over 20,000 people attend to hear a future �hall of fame� lineup of acts that included Marion Lush, the Versatones, Walter Ostanek, the Ampol Aires and local Buffalo acts the Jumpin' Jacks, Walter Jaworski, Eddie Olinski, Big Steve and the Bellares, the Musicals, Joe Macielag and the New Yorkers. Daily admission charges were $3 on Friday and Saturday and $3.50 on Sunday. Prior to the event, arrangements were made that would have let the festival organizers use a liquor license owned by Frank�s Market Bar. Four days before crowds were set to arrive, it was found that the license was non-transferable. Frantic calls were placed to local political offices for assistance but to no avail... the Buffalo convention, the largest polka event in history to that date, would be without beer and alcohol sales. Most acts performed under the 60 X 270 big top tent that featured a 40 by 100 dance floor. The tent became a refuge during the weekend as a torrential rainstorm hit Buffalo causing tares in the fabric and ankle deep water. The legacy of those early festivals continues to the present day. Since 1968 the International Polka Festival has been presented under the auspices of the International Polka Association. The 2007 festival will be held in Cleveland this August. Thank you to the Kurdziel family for providing the 1964 & 65 guides.